Learn more about the Campus Y here. We appreciate your support. We can accept cash and check donations by mail. Donations can also be dropped off in our Campus Y mailbox. 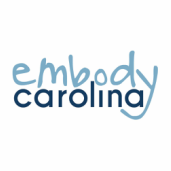 ​Please make checks out to UNC Campus Y - Embody Carolina. Upon subscribing, you will receive a confirmation email. You must click the link in that email in order to receive our listservs.